International Conference of Endorsing Health Science Research has been a platform since 6 years for researchers from all over the world to exchange their thoughts on research and future developments in health sciences. AEIRC believes that satisfactory development in Health care and research is a necessity of time & ICEHSR has been designed to sketch the needs of the community, to translate basic scientific findings into interventions that are significant to increase understanding of disease processes as well as to improve the quality of life in sufferers. 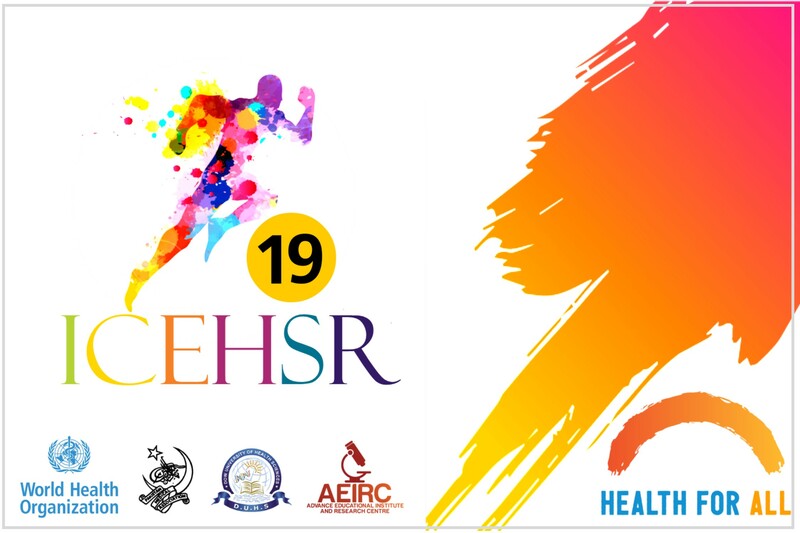 ICEHSR is now become a brand that has an impactful scientific history in terms of knowledge and information generated by numerous keynote talks, workshops, panel sessions, scientific oral and poster presentations and publications. This conference has been hosted by AEIRC in Karachi, Pakistan and proved to be one unique event to gather basic and clinical health professionals and scientist under the same roof. In the past years this just not only bridged the gap but also prelude the impending Eminence that health science Research and Development should contribute to value populations on the whole that certainly has better results in decision making during stages of innovation, policy making and can be best reflected by the features and standards of Health Care professionals. Team AEIRC is delighted to be continuing this tradition in our own modest way; Of course, in seeking to promote a health and education. Not only we are keen to work in dimensions of public health needs but also hope that our will create ripples in health research field with our aim to develop and lead task force for exploration that can fill the gap be-tween academic institutes and clinical practice to raise the quality of life. Recommended steps include researchers and consultants should engross the public, including sponsors, as equivalent associates in the commencement of community‐based interferences. Scientific proofs and communal data should be incorporated into interference planning.